The UCA College of Business is committed to the success of each individual student. We recognize that business leaders must have technical knowledge, critical thinking skills and be able to communicate ideas in a collaborative environment. Our graduates are equipped with a practical understanding of these and other important business concepts and skills that can be applied to both the business world and the non-profit sector. Teaching methods and the advising process within the college are designed to help students discover their unique abilities, thereby enhancing their chances of success. Students work closely with the faculty and receive hands-on experience by participating in practical business projects, internships, and student professional organizations. Unlike the larger research-oriented institutions, UCA’s College of Business faculty members are respected for excellence in both teaching and research. And, a majority of these professors have “real world” experiences they draw from to enhance their teaching. The College of Business is accredited by AACSB International, the Association to Advance Collegiate Schools of Business. This accreditation requires compliance with a rigorous set of standards and indicates that UCA succeeds in offering one of the best business programs in the nation. In December 2011 the College of Business was unconditionally reaffirmed by AACSB for another five years. 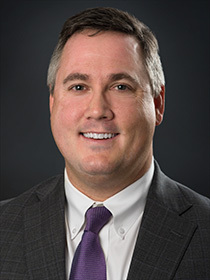 Perhaps the best testament of the effectiveness of the college’s educational efforts is the ever increasing number of companies that come to UCA seeking College of Business students, telling us they recruit UCA “first” in the state.